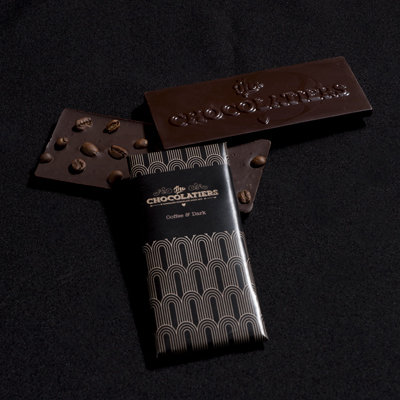 Whole crunchy coffee beans are the perfect pairing with a 70% dark Belgian chocolate. If you love coffee, love chocolate and love the two together, this one is for you. All our ingredients are natural, organic where possible, and our couverture is Forest Alliance and UTZ certified. Notify me when Dark Coffee & Dark Bar is available.